I’m delighted to now be able to share news of a major display on the life and work of Lord Snowdon which I am curating for this autumn. Snowdon: A Life in View at the National Portrait Gallery from 26 September, is selected from a very generous gift of photographs from Lord Snowdon to the Gallery in 2013, and will coincide with a new monograph published by Rizzoli. Snowdon’s extensive career in portraiture and fashion photography has included a six-decade working relationship with Vogue magazine (from 1951). 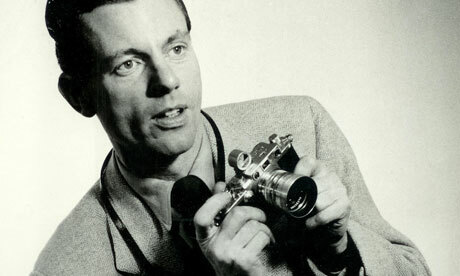 He also produced pioneering photo essays on social issues for The Sunday Times (1962–90). Highlight portraits in this display will include studies of writers such as Nell Dunn and Graham Greene, actors such as Julie Christie and Terence Stamp, and cultural figures such as newspaper editor Harold Evans. The display will also offer the opportunity to enjoy new selections from book Private View (1965), Snowdon’s important examination of the British art world created in collaboration with art critic John Russell and Bryan Robertson, then director of the Whitechapel Art Gallery. You can find out more about Snowdon: A Life in View via the National Portrait Gallery’s recent press release. I also recommend exploring Snowdon Review, an online collection of stories from the photographer’s vast archive, beautifully curated by the photographer’s daughter Frances von Hofmannsthal. Coinciding with a new monograph published by Rizzoli, Snowdon: A Life in View (26 Sep 2014-21 Jun 2015), will highlight studio portraits from the 1950s to the 1990s, alongside selections from Private View Snowdon’s important 1965 examination of the British art world created in collaboration with art critic John Russell and Bryan Robertson, then director of the Whitechapel Art Gallery. Curated from a major gift to the Gallery in 2013, in close consultation with the photographer’s daughter Frances von Hofmannsthal, the display includes over 40 black-and-white portraits taken throughout his expansive and influential career. Last month I joined Featureshoot as a new staff writer. I’m very glad that in my first post I was able to highlight the work of photographer Alicia Bruce, who since 2010 has established a significant reputation building long-term collaborative photographic projects with local communities. Bruce’s ongoing project Menie: a portrait of a North East coastal community in conflict has focused on an area of outstanding natural beauty and site of special scientific interest in Aberdeenshire, and the residents there who faced compulsory purchase orders on several of their homes as part of the construction of Trump International’s golf course and proposed housing development. You can view a selection of works from this important project via my recent Featureshoot article, and explore Alicia’s work in-depth via her website. While Bert Hardy is known to many, the work of George Douglas is arguably less remembered today, despite the significance of his remarkable output while a commissioned freelance photographer for Picture Post. The great diversity of his work ranged from picture essays on celebrity figures; such as Audrey Hepburn at the time of her breakthrough performance in Gigi (1951); to photojournalism, documenting topics such as Olive Walker, one of Europe’s few female chimney sweeps, and the work of a speech therapy clinic in Stockton-on-Tees. Within the last few weeks I was delighted to visit Brighton photographer Nigel Swallow, who is researching the Douglas Archive and organizing its long term care, alongside the Archive’s owner photographer Roger Bamber. (Bamber inherited the archive following Douglas’s death, and the subsequent death of his widow Jill Renton). Next month, a small display of thirty photographs from the vast Douglas archive, will be staged at his former home at 14 Sillwood Road, Brighton. Douglas had bought the house in 1964, and though he spent much of his life in California, returned to live here permanently from 2007 until his death. This display will be part of the Brighton Artists Open Houses Festival 2014, and further details can be found on the event page. This display marks the beginning of a new exciting journey by the Archive’s owners to fully unravel and research this collection of several thousand negatives from the 1940s-1960s. I look forward to following their news, and I hope that in time, their work will lead to a reappraisal of Douglas’s legacy.